Topics: Domestic Cleaning, Commercial Cleaning, Rates, and Special Offers. 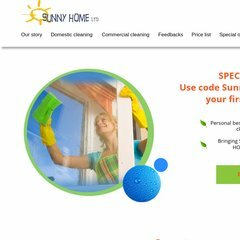 sunny-home.co.uk Domestic cleaning, office cleaning, holiday apartment cleaning ..
Its local IP address is 213.171.218.197. Its 2 nameservers are ns1.streamlinedns.co.uk, and ns2.streamlinedns.co.uk.